Home » 2018-19 » Inaugural FCVC elite camp a huge success! 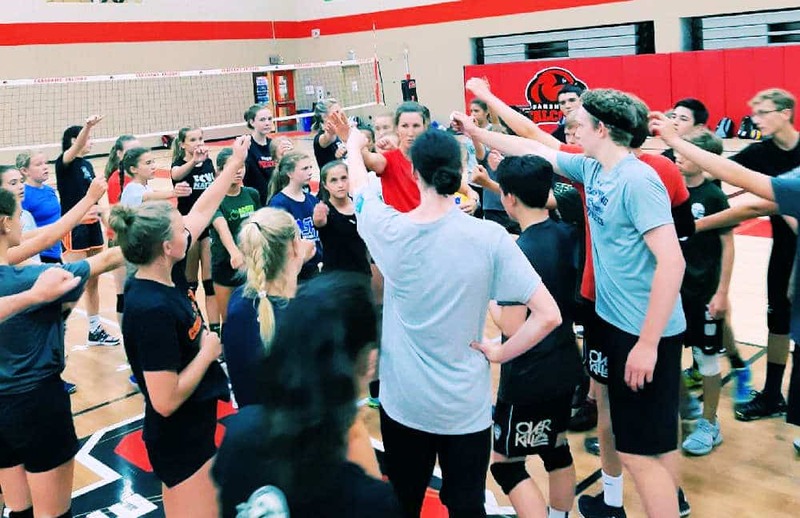 Athletes from across London gathered in the Fanshawe College gym over the week of July 16th, to participate in the first annual FCVC Elite Skills Camp. Club and post-secondary coaches put the kids through their paces, while FCVC alumni encouraged the kids as they picked up new skills. The athletes worked on technical reps as well as individual and team tactical play, and prizes were awarded for individual challenges and team competitions. A lot of volleyball packed into over a busy and productive week!! Thanks to all the coaches and participants. We look forward to an even bigger and better camp next summer!